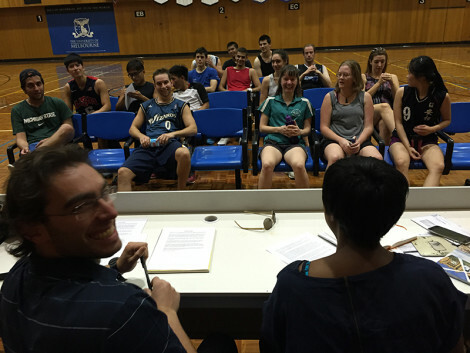 Today MUBC held the annual general meeting to review club business and elect a new committee. Verrocchi and the Anj were masterfully eloquent in their arranging of the meeting and the majority of the positions were successfully filled. I can't believe Jimmer still has his top on!